Kim and I have had the privilege of enjoying some good coffee through the holidays and our travels. 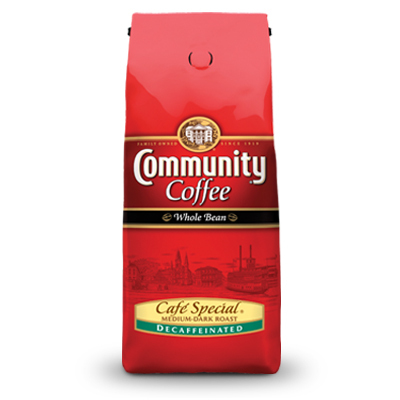 One of the coffees we brewed was Founder’s Blend from Community Coffee (www.communitycoffee.com). Just by looking at the bag they earned extra points with me by putting the batch number and roast date on the front of the bag. Their site describes the Founders Blend as comprised of four unique coffees from two continents. We begin with Colombia Toledo-Labateca, which is grown high in the remote Andes Mountains near Venezuela and is a rare social relationship coffee exclusive to Community Coffee Company in the United States. We next add Brazil Santos Bourbon, an old growth variety of Arabica that has become rare and highly prized. We complete the blend with two exceptional coffees from Africa, which come from the high mountain peaks in Kenya and Ethiopia, the birth place of coffee. 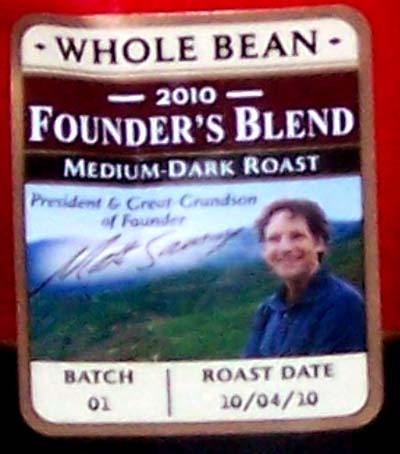 Founder’s Blend is carefully medium-dark roasted to develop a sweet floral aroma with a complex winy acidity and a nutty bold body. This is a blend whose sum is truly greater than its parts. It will satisfy refined palates with a finish reminiscent of toasted almonds and hints of dark chocolate. Looking into the bag you see different colored beans and smell a mildly smoky somewhat sweet aroma. I could hardly wait to brew this in the auto-drip. Here there seemed to be a milder taste than I expected. It was also naturally sweet with a chocolate aftertaste. It was a smooth enjoyable cup of coffee. Next up was the French Press and the taste was bolder yet still smooth. There is a nice tanginess to the taste with hints of citrus. There is more of a bittersweet chocolate aftertaste too. Kim thought it paired very well with chocolate and was good with lemon, almonds and dates. The Chemex coffee maker gave us a smooth, deeply flavored cup of coffee. It also has just the right level of acidity and a nice feel in the mouth. This would be an enjoyable everyday coffee no matter which coffee maker you use yet the taste is good enough that you would want to brew it for special occasions too. If you are looking to try one of the Community Coffees this Founder’s Blend would be a good one to start with. We received this coffee for free and offer objective feedback. Until next time remember to stop and enjoy the coffee and conversations.